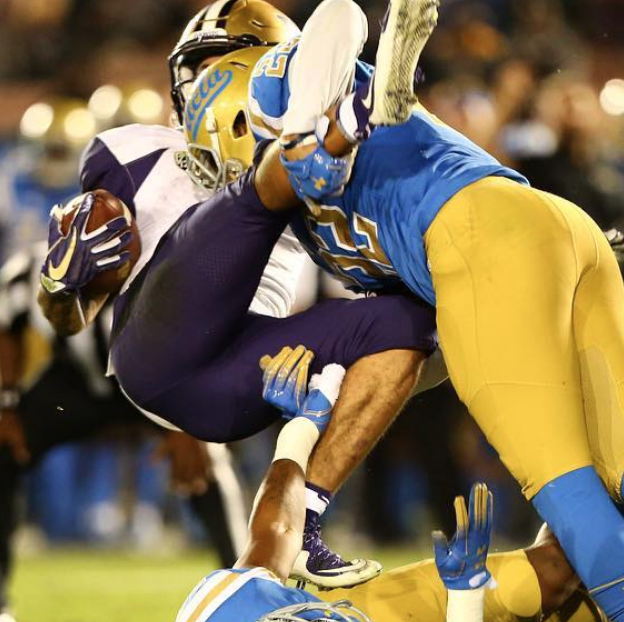 Bruins safety Nate Meadors tackling a Washington Huskies player during UCLA's loss on Saturday, October 6. 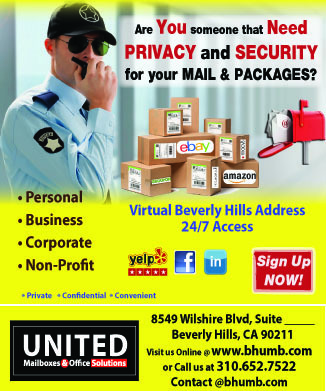 WESTWOOD—UCLA Bruins Head Coach Chip Kelly’s team fell to 0-5 on Saturday, October 7 31-24 to the Washington Huskies. Both teams started off poorly, with both quarterbacks throwing interceptions in the first quarter. However, Washington would be the first to put points on the board. Quarterback Jake Browning threw a 26-yard touchdown pass to wide receiver Aaron Fuller. On the Bruins next drive, they missed a field goal. On the Huskies next drive, kicker Peyton Henry completed a 26-yard field goal. The Bruins would respond on their next drive, though. Quarterback Thompson Robinson went 5/5 on the drive, and found wide receiver Theo Howard for a 9-yard TD. Washington was not done scoring though. On their next drive, running back Myles Gaskin scored a 1-yard rushing TD bringing the score to 17-7. Right before the half, Browning scored a 1-yard rushing TD bringing the score to 24-7 halftime. After scoring a field goal on their first post-half drive, UCLA put together a 17-play, 90-yard touchdown drive. Tight end Caleb Wilson broke tackles to score a 9-yard TD. However, on Washington’s next drive, Gaskin would score another TD brining the score to 31-17. Joshua Kelley would score another TD for the Bruins, but it was too late for UCLA, who fell to the Huskies 31-24. This start is not promising, but the Bruins showed improvement in the game. They will look to get their first win next week against the California Golden Bears.